An off-duty bouncer who was fatally stabbed on a night out had followed his attacker after he threatened to punch a woman, a court has heard. Daniel Fox, 29, who also worked as a carer for autistic children, was stabbed in the chest in the early hours of the morning in St Helens, Merseyside, on September 2 last year. Leighton Holt, 20, denies the murder of Mr Fox, but Liverpool Crown Court heard he was expected to claim he stabbed him in self defence. The court heard Mr Fox was outside Bar 44 in the town centre at about 3am when Holt approached Joel Maudsley, who was with the victim, to ask for some of her cigarette, but she refused. 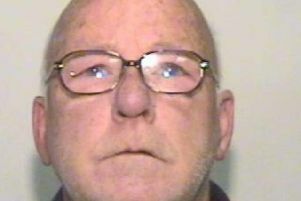 He said when Miss Maudsley told the group what had happened another man, Andrew Parr, approached Holt and told him to “leave the girls alone”. He said Mr Parr slapped Holt, who then pulled a knife from his pocket. The court heard Holt’s girlfriend, Kaitlin Douglas, pushed him away from Mr Parr, who was standing with Mr Fox. CCTV showed Holt, from Stockbridge Village, Knowsley, and his girlfriend walking away from the group and Mr Fox and Mr Parr then following him. Mr Cole said Holt continued to shout threats at them but began to run away. Mr Fox, who had appeared on E4 show Tattoo Fixers, died from a single stab wound to his upper chest. The court was told Holt, his girlfriend and her friend Emily Schofield, got a taxi away from the area. Footage showed the knife being thrown out of the window of the taxi as it went through a McDonald’s drive-thru. The court heard the weapon, a butterfly knife which could be folded to conceal the blade, was later recovered and found to have Mr Fox’s blood on the blade and Holt’s DNA on the handle. The case is expected to last two weeks.